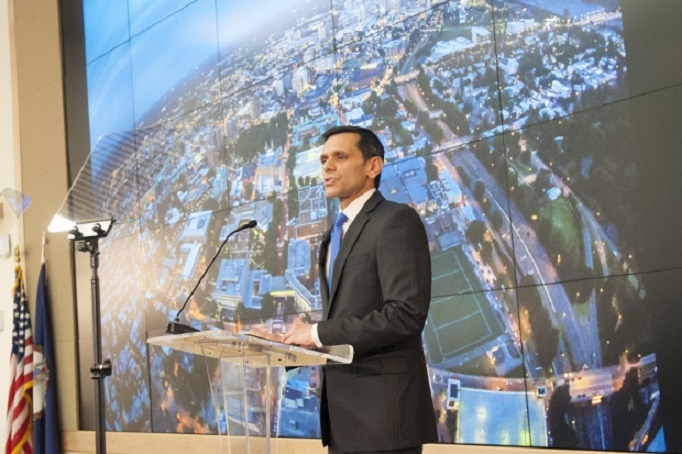 VCU President Michael Rao gave his State of the University Address today (1/25). Dr. Rao spoke about the legacy of VCU, its historic background and its future, but the main theme in his half-an-hour speech was about the diversity of students. Saying that through their Quest program, which is a research fund to support all faculty internal funding opportunities, the school has increased degrees by 50% and 25% more doctoral degrees since Quest began. Some of his priorities in the coming years include matching faculty salaries to those of their peers, student financial assistance and expanding their research facilities. Rao said, “You really need to think of VCU has not just a generic research university but a university committed to the neurosciences,” to which he added, cancer research, and pharmaceutical engineering, which will include ways to combat the opioid addiction problem.